The following post was originally published on the BYU American Studies blog. 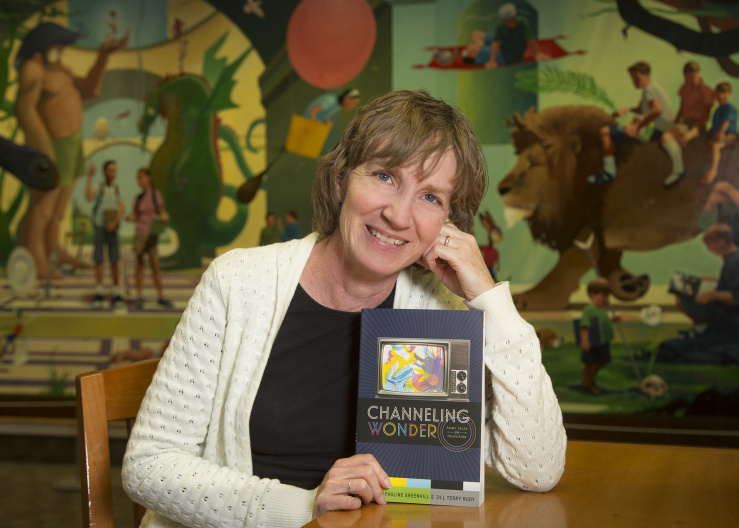 Dr Jill Rudy, the leader of our research team at fairytales.byu.edu, was interviewed by Olivia Nelson about the origins of Rudy’s book “Channeling Wonder,” trends in modern fairytales, and advice for aspiring scholars. Enjoy! In recent years it seems like we can’t turn on the Television without seeing fairytales written into the media. Dr. Jill Rudy, Associate Professor of English at BYU noticed the fairy tale trend and made it part of not only popular, but academic history. Her recently co-authored book, “Channeling Wonder” explores through several academic essays why stories deemed “traditional” now appear constantly in movies and television. What encouraged her research was her students. Not particularly inclined to teach fairy tales in her folklore class, students repeatedly asking for fairytales soon changed her mind. In researching fairytales with her students, she began to notice fairytales had infiltrated the media and were starting to bridge the gap between “classic” and “modern”. Taking the idea with her to a conference, she met her co-author Paulene Greenhill who had some experience researching fairytales and the two decided to document the trend. Her advice is reminiscent of the fairytales she writes about. Hard work and dedication may just bring a “Happily Ever After”. As American Studies students, we should thank Dr. Rudy for aiding our studies as we develop our cultural analysis of America. This entry was posted in Uncategorized and tagged crosspost. Bookmark the permalink.